Together, Arsène Wenger and Thierry Henry symbolised an era. 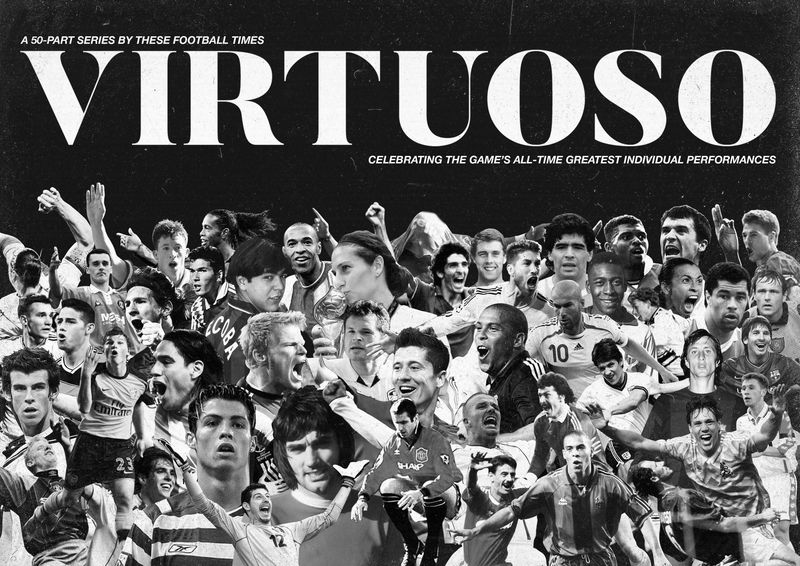 For Arsenal, for English football, for all the game and every willing devotee of energetic, expressive, evocative football. The two Frenchmen epitomised so much that was right about the game. Like the smooth opaque scar of a once gruesome wound, that the revered professeur never lifted European football’s most coveted prize is a tragedy that will never completely recede. That his silk-footed protégé only did so after having eloped, finding new muses in the trophy-spoiled culés of Catalonia, is a historical footnote that does nothing to disturb the bones of a perfect relationship but instead serves to remind those of an Arsenal persuasion that even our warmest dreams are not impervious to the cold touch of reality. For the cardinal triumvirate of club, manager and captain, the Champions League was Arsenal, Wenger and Henry’s white whale. In Paris, in the summer of 2006, they came to within touching distance but painfully fell short and never together came so close again. In spite of their mortal frustrations, though, the Champions League afforded Wenger’s charges an almighty stage upon which to perform a selection of their most stirring symphonies and an international arena from which his team, when at their rousing best, would routinely depart with the scalps of giants in tow. Even amidst a season in which Henry and co completed the unique honour of an undefeated Premier League campaign, of all their greatest hits recorded live on the continental circuit, few occasions demands commemoration more so than the night Arsenal travelled to the Giuseppe Meazza and took apart Internazionale with artisanal glee. As the Arsenal players lined the away team dressing room in Milan, they reflected upon a disastrous start to their Champions League campaign. Moments away was their fourth game of the group stage and to date they had just a solitary point. Inter had put them to the sword among supposed home comforts at Highbury; a hapless 3-0 loss. Arsenal then drew a blank in the Russian capital, against Lokomotiv Moscow, before succumbing to a 2-1 defeat away to Dynamo Kyiv. Something special was needed in fixture four to turn the tide in their favour. The magic first began to stir inside half an hour. Robert Pirès surged in from the left-wing and played the ball into Henry’s feet, as the forward hovered with intent on the edge of the area. 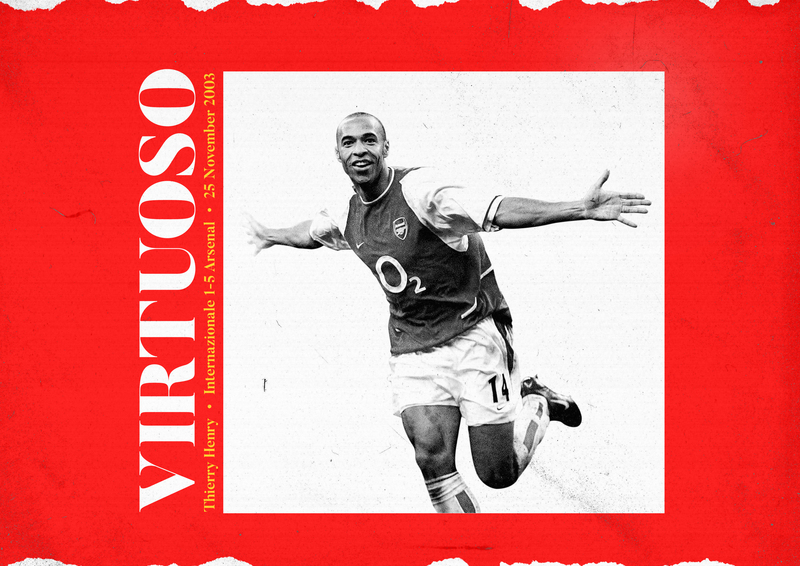 Three swift touches later and the ball was nestled in the net behind Francesco Toldo as Henry swivelled, playing a first-time pass to the advancing Ashley Cole, who fed it straight back to him, before a third instinctive action in as many seconds swept the Gunners into an early lead. The Italians battled back, ensuring Arsenal’s advantage lasted no longer than eight minutes. Christian Vieri received the ball on the left and fired a first-time shot of his own at Lehmann’s goal, looping the German custodian courtesy of a devilish deflection from the misfortunate heel of Sol Campbell. But far from downing tools to mourn the loss of their earlier lead, the fortunate equaliser galvanised the London team. Level at the break; Arsenal desperately needed points and, in the second period, they fought to prove one too. Just four minutes after the restart, Henry galloped down the left-flank. Teasing, teasing, the Frenchman threatened to dip inside onto his favoured right foot before throwing Marco Materazzi and his trusty attaché Iván Córdoba a feint that earned a yard or two of breathing space. Back onto his left, Henry fed the ball inside, finding the run of Freddie Ljungberg, who made no mistake with his finish. Arsenal led once more. The game flowed onward, jostling to and fro, but, as time eroded, the hill up which Inter were fighting only steepened further. The Nerazzurri attempted in vain to wrestle the initiative back from the Englishmen, believing themselves capable of restoring parity, until the game’s final knockings saw Wenger’s men switch the tempo again, returning to first gear in order to finish with a flourish, to stride beyond the realms of merely any admirable away performance and into the history books. With 84 minutes gone, Inter swung in a looping corner to no avail. In clearing, a giant Campbell boot sent the ball skyward before returning to Earth to find the head of Ray Parlour, who cleverly aimed his forward nod in the direction of Henry. Some 30 yards inside his own half, but with only Javier Zanetti between him and acres of green pasture, Henry sprang into life and pressed hard on the accelerator. He surged beyond the Argentine defender and deep into Inter territory but was forced wider than he’d have favoured by the retreating captain. On the edge of the box, the French forward halted and awaited reinforcements. Pirès was typically the first to arrive, willingly volunteering his own presence alongside his compatriot on the frontline, but his late run had been tracked smartly by Córdoba and, behind him, Jérémie Bréchet, so Henry elected to make a decoy of him. Eyes trained not at the ball but on Zanetti, Henry held his nerve in anticipation of the split second the defender began to overthink his next move. Recognising it in an instant, Henry swept it beyond him, blowing past with six quick strides, and lashing the ball into the goal, beyond the flailing dive of Toldo, with the inside of his apocryphal weaker left foot. Celebrating with a trademark knee slide, arriving beside the corner flag at the base of the stand straining to hold back the jubilant Arsenal globetrotters, Henry’s outstretched arms ensured his finishing pose formed a star. Intentional or not, there was no form of post-goalscoring revelry more fitting. Henry was a star the likes of not even this iconic had grown tired of witnessing. Precisely a month shy of Christmas day, this was an early gift to all in attendance. This was the doyen of instinctual attacking football thriving in its natural environment. Time enough remained for the Gunners to find their target twice more. Ljungberg snuck between man and ball, dispossessing Córdoba on the half-way line before exchanging passes with Gilberto Silva. Silva found Edu, who then found Cole, before the left-back waved a vast searching ball up-field towards Henry. Again, the side’s maestro caressed the ball forward in search of a red and white shirt as his three of his teammates streamed forward, soaring like a flock of violins anticipating a crescendo. The pass travelled beyond Pirès’ pursuit, only to be ducked by Ljungberg who evidently feared a collision with the onrushing Toldo, but quickly found a willing recipient in the form of Edu who tucked the ball home at the back post. It is unlikely that even a player of Henry’s exquisite vision and sophisticated foresight could have planned a scenario that ended with the Brazilian sliding home his team’s fourth, but this was Henry’s night after all. To few in the stands, it appeared anything other than textbook. Before the night was up, it was at the centre of a euphoric touchline mob that Henry found himself in the celebrations for the fifth and final goal. In the short time between Arsenal’s last two strikes, the superlative forward had departed to a standing ovation, as Wenger sought to rest his legs and give minutes to his young compatriot Jérémie Aliadière, and it was he who laid on the pass that enabled Pirès to sign his name across the scoresheet. Just as ships among the mists seek the dappled radiance of the distant shore, every player in Arsenal red gravitated towards Henry in their delight. His goals, his assists, his virtuoso performance; ultimately, they’d all mean little as Arsenal’s Champions League campaign would end prematurely at the quarter-final stage, in particularly gutting fashion at home to Chelsea. No elusive European crown would append their grand domestic triumph. But after his team’s final goal, beneath a tangle of torsos and limbs, and a spray of makeshift champagne, Thierry Henry, the architect of that scintillating night, stood beaming the widest of smiles, for he knew this had been a truly special win; this had been football, Arsenal football, at its finest, and he had helped to deliver for the fans among the gods in those towering stands above, one of the greatest nights of their lives.